G. O ugh T Milk? Does It Do A Body Good? I have heard many people say that we need calcium and protein that is mostly found in milk and dairy based products like yogurt and cheese. Various organizations have pushed Americans to consume our protein via dairy products. We have all seen the propaganda in television commercials. (G. Ought Milk? – Is a registered trademark so I can’t use the actual word without copyright infringement). Most of us and our children have grown up with the dairy industry propaganda in our schools. Much of that propaganda and marketing comes from the National Dairy Council. They also claim that dairy products are an excellent source to support bone health, reduce the risk of type 2 diabetes, and dairy food consumption is associated with reduced risk of cardiovascular disease and lower blood pressure in adults. Well isn’t that nice!?! But is it true? I will get to the science in a bit. The National Dairy Council along with the American Dairy Association fall under Dairy Management Inc. which is a marketing creation of the U.S. Department of Agriculture. These groups are funded by government-mandated fees on dairy products and by general federal tax dollars. 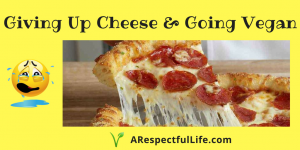 Groups like The Dairy Farmers of America, Dean Foods, California Dairies Inc., Land O’Lakes Butter and the International Dairy Foods Association have spent a lot of money on lobbying the American Federal Government in order to push Americans to consume protein and calcium via dairy products. With the sharp rise in Veganism, the dairy industry has dramatically increased their lobbying efforts and spending from $4M to $8M. They also increased their campaign donations from $3M to $5M. THIRTEEN MILLION DOLLARS ($13M) is spent to push their agenda. That may not be as much as Pharmaceutical Research & Manufacturers of America, Blue Cross/Blue Shield, or Exxon Mobile spend. (Source: Opensecrets.org) It is still a lot of money. Why are they spending so much? Part of it is that they push for bills like the Agricultural Act of 2014 (a.k.a. The Farm Bill) which provides dairy farmers tremendous benefits like: Free catastrophic coverage insurance, a dairy product protection program which requires the USDA to purchase dairy products for donation to food banks and other feeding programs (at taxpayer expense), and funding for dairy production promotion, research, and ‘nutrition education’ programs via Dairy Management, Inc.
Have you heard of the “Fuel Up To Play 60” program? This is a program funded under the Agricultural Act of 2014. It is a ‘nutritional education’ program designed to encourage kids to be more active, and to get better nutrition. It also pushes how important it is to fuel your muscles and bones with protein and calcium. Their website says: “Exercise can cause muscle breakdown and high-quality protein, like milk, yogurt, eggs, cheese and lean meats can help rebuild and repair muscle fibers.” Sounds noble. Let first me ask you this: What Do Gorilla’s Eat? Think about it, a 600 pound Gorilla is incredibly lean and could rip a human to shreds. Primates are the most closely related animals to humans. Primates also need a lot of protein. Do they drink milk? Do they eat meat? The answer to both of those is no. They eat plants and occasionally ants or termites yet get plenty of protein. (I will be doing a follow-up post to this called ‘What Do Gorilla’s Eat’ about plant-based protein). You don’t need meat or dairy to get enough protein in your diet. There are many other protein sources available like legumes, nuts, beans, chia seeds, asparagus, and broccoli. You also don’t need dairy for calcium in your diet. Calcium is found in soybeans, soy nuts, bok choy, broccoli, collards, Chinese cabbage, kale, mustard greens, and okra. Dr. T. Colin Campbell, author of ‘The China Study’ found that casein (the main protein in dairy products) is directly linked to cancer growth. The China Study was a collaborative effort between Harvard and Cornell Universities and is one of the largest comprehensive studies of human nutrition ever conducted. It details the connection between nutrition and heart disease, diabetes, and cancer. It found that Americans health statistics are very scary. Americans have an alarming rate of obesity, heart disease, cancer, etc. 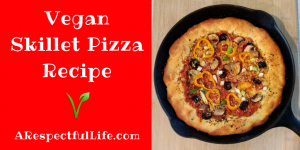 The study found that many diseases can be reversed with a plant-based diet and that there is NO NEED FOR ANIMAL PROTEIN. FACTS: Animal protein has absolutely no fiber, antioxidants, phytonutrients, potassium, or magnesium. Plant protein offers some or all these essential nutrients. Animal foods contain saturated fat and cholesterol which are directly linked to obesity and cardiovascular disease. Cardiovascular disease happens to be the number one cause of death in the U.S. Dairy cows are given growth hormones and antibiotics. Some of those growth hormones are thought to be carcinogenic. Overuse of antibiotics causes antibiotic/antimicrobial resistant virus strains. You are what you eat so………. Aside from the negative impact of casein and cholesterol on your health, dairy production is HORRIBLE for the environment. It is estimated that one dairy cow requires between 2,500 and 5,000 gallons of water PER DAY!! If you include what they drink, the water it takes for crop production to feed them, and the water it takes to clean the milking facilities of feces, etc. that number is around 5,000 gallons. Dairy cows are a major contributor to greenhouse gas emissions and thus climate change, as well as soil and water contamination. There are many reasons to not utilize dairy and animal proteins as part of your diet. I will be creating additional posts in the weeks to come concerning these topics. I have more information on vegan protein sources here. There is more information available on my blog. For now, I am going to leave you with this YouTube video below. It is a bit graphic and very straight forward. See how the albumin peptide in dairy causes Type 1 Diabetes in my post on Molecular Mimicry. As always, if you have any questions about my content you are always welcome to reach out to me. Please comment below. Next ArticleNext Article: Suffering From Inflammation? Great post! 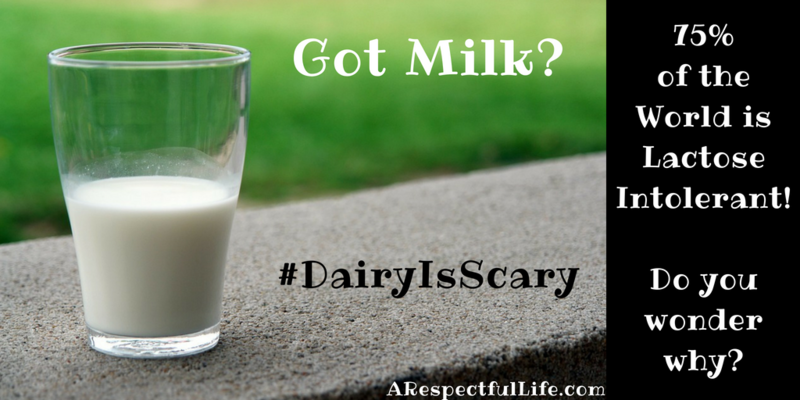 Dairy IS scary!